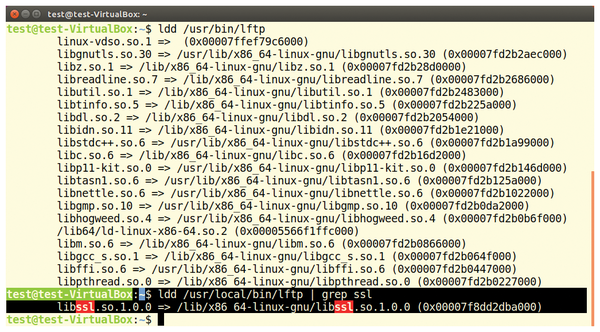 Figure 1: Using FTPS will not work without libssl support. If this is not the case, and you want to use FTPS instead of SFTP, follow the instructions in the "DIY LFTP" box. Depending on the version of the system you are using, you might need other versions of these packages. If further software is missing, entering ./configure will usually let you know. Build LFTP as shown below with the usual three-card trick – ./configure, make, and make install – and use ldd to test your home-grown LFTP version for SSL support. For test purposes, it is best to use two local computers that serve as the server and client. LFTP will behave in the same way as if you were using remote servers, but it will be easier to locate sources of problems and errors. Unless you specify otherwise, LFTP uses the SFTP protocol. Ports other than standard port 21 are entered at the end of the connection command in the form :<port>. For more feedback, add the -d (debug information) option to the lftp call. The -h (--help) parameter offers little help when it comes to the application's options. An intelligible version of the LFTP man page can be found on the Lifewire website . After the connection is established, you are in the LFTP shell. The ls command lists the current directory content on the server. With a preceding exclamation mark (! ), you can redirect the command to the client; !ls shows the contents of the client's current local working directory (Figure 2). Some commands can be executed with a preceding small l (ell, for "local") on the client, and other commands can be preceded by either switch. Usage is not completely consistent. To simplify things, you can define command aliases to suit your own requirements. Figure 2: Bash commands with preceding exclamation marks act on the client. To upload a file from the client to the server, use the put command, to which you add the name of the file in question (put <file>). The -d parameter used for logging in shows you what is happening in the background in detail. If you want to put the file in a certain directory, go there with the cd command and then run put. Following the same pattern, get lets you download a file. 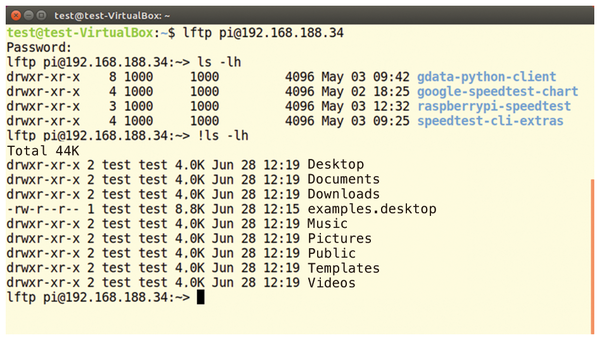 However, with pget, LFTP offers an alternative that distributes the data transfer over several parallel connections, thus speeding up the download on servers with slow connections. In practice, you would first change to the directory in which you want to store the downloaded file !cd or lcd followed by get <file> or pget <file>. Finnix, a LiveCD Linux distro for system administrators, is available in version 93.0.